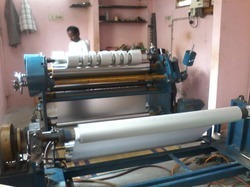 Came into existence in the year 1997, Lords Plastics Industries is engaged in providing a rich array of products. We have built a different place in the market as a most prominent manufacturer and supplier of a wide range of products. From our operational headquarter located at Chennai, Tamil Nadu (India), we have started our business activities as a Partnership based firm in the industry. We have created a remarkable position in the national market with the help of our diligent team, good vendor base and well equipped manufacturing unit. Our offered range of products comprises of Executive Folder, PVC Bag, Exam Clipboard, Leather Wallet, File Folder, Office File and more. We pass our entire gamut through series of quality tests on defined quality standards of industry, just to deliver error free range of products in the market. The passion of our company is to create best value and it reflects in our products that are highly reliable, precisely designed, perfectly finished and are cost effective. Being the mentor for the employees of the company, Mr. Nazeem Ahamed A. presence has proven a cornerstone to the organizational growth. He is the Proprietor of the company. 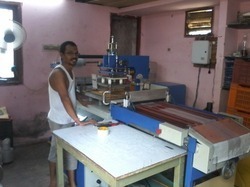 His skills and rich industrial experience enable him to perform his tasks perfectly. He possesses vast experience in the concerned field and also shares his knowledge with the company employees. He believes in taking employees along with the every success of the company, which help in strengthening faith of employees over him. Our organization is having the backing of proficient and very gifted experts, who work towards fulfilling set targets and requests of profitable customers. Our team members are highly qualified, skilled, experienced and knowledgeable. All of them get proper training under the knowledgeable leaders when recruited in the company. They unflinchingly take up tasks and assignments as per their capabilities and then complete them in or before ultimatum. With our vast experience over the years in this industry, we are well versed with the necessities of our esteemed clients and acquire the products as per their requirements. We ensure the quality level of our products to match that of Industrial quality standards with the help of our highly qualified team of quality controllers. Every aspect of our business procedures is client-oriented and is aimed at providing maximum satisfaction to the customers. Good infrastructure is essential for any manufacturing unit. We have established a sophisticated infrastructural facility, where our all business operations take place in a streamlined manner. It consists of various machinery and tools through which, we manufacture qualitative products in bulk and within stipulated time period. Company has its own warehouse where all the produce products are maintained in systematic way to protect them from harsh conditions. Being a quality driven firm, we are seeking towards satisfying our customers immensely in terms of our products excellence. Our transparency in business dealings, high standard of excellence and prompt solutions to the customers’ queries has made us frontrunner of the industry. We provide our customers with a facility of customization in terms of packing so as to keep their consignments safe and secure while delivery. We have carved a distinct position in this domain by providing optimum quality products at reasonable prices. Our being loyal to our customers and our diligence in turning their expectations into realization has rewarded us with an eminent position in the industry.